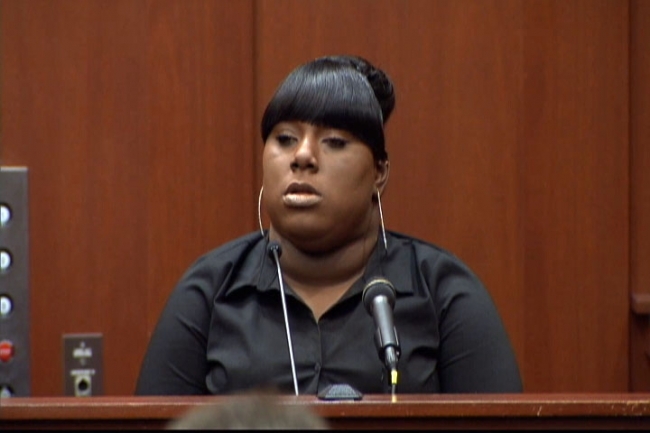 Rachel Jeantel was the last person to speak to Trayvon Martin before George Zimmerman brutally murdered him in 2012. On June 26, Jeantel was the prosecution’s star witness in Zimmerman’s murder trial. But while giving her testimony, those on social media took the opportunity to bully Jeantel on Facebook, Twitter and Instagram. The jokes were aimed at her lack of education and some compared her to the star of the movie Precious. It was a sad display of social media bullying that took the focus off a tragic situation. But Jeantel and Martin’s family deserve better. Here are five reasons Rachel Jeantel does not deserve bullying. Put yourself in a situation where you are the last person to speak with a close friend moments before they are murdered. Rachel Jeantel will have to live with that moment for the rest of her life. To relive it through testimony can be devastating and mentally draining. Rachel was obviously a regular teen who became a witness in a murder trial because of a phone conversation. Apparently, she was not ready for that much attention. It’s a situation that’s stressful and could cause the average person to have an emotional breakdown. Although Rachel lacked overall intelligence, she came off as a credible witness because her honesty was child-like. By saying that Trayvon used the N-word and C-word, to describe Zimmerman, proves that she never attempted to edit her testimony. Rachel was true to herself and never appeared to have the wits to be calculating or manipulative. At times, she was erratic, but jurors will likely view her as a person who heard Zimmerman follow and confront Trayvon Martin. It’s consistent to the 911 call where Zimmerman was told to stop following Martin. Rachel has become extremely famous overnight. Along with the bullying, some media outlets will inquire about her past and attempt to find every bit of dirt she has done. Her family will be followed and she will have trouble returning to a normal life. Rachel came off as inarticulate during her testimony. But her lack of knowledge is more of an indictment of American public schools that fail to teach kids the basics of how to speak intelligently. She is a 19-year-old high school senior, so she likely repeated a grade or started school late. But throughout her years in school, it’s apparent that her teachers didn’t take the time to educate her properly. Before we point the finger at Rachel, we must find issue with the educational system that failed to teach. Moreover, she was raised in a household where her parents spoke Creole and Spanish. She has been handed disadvantages from the onset.